In February 20, 1996, Victor and Sally Gaisano (acronym VICSAL) together with their children (Margaret, Jack, Edward and Frank) decided to organize Vicsal Foundation, Incorporated (VSF) as an expression of Corporate Social Responsibility of the Vicsal group of companies, a way of giving back to the community in consideration for the blessings that they have received from the successful operation of their businesses. 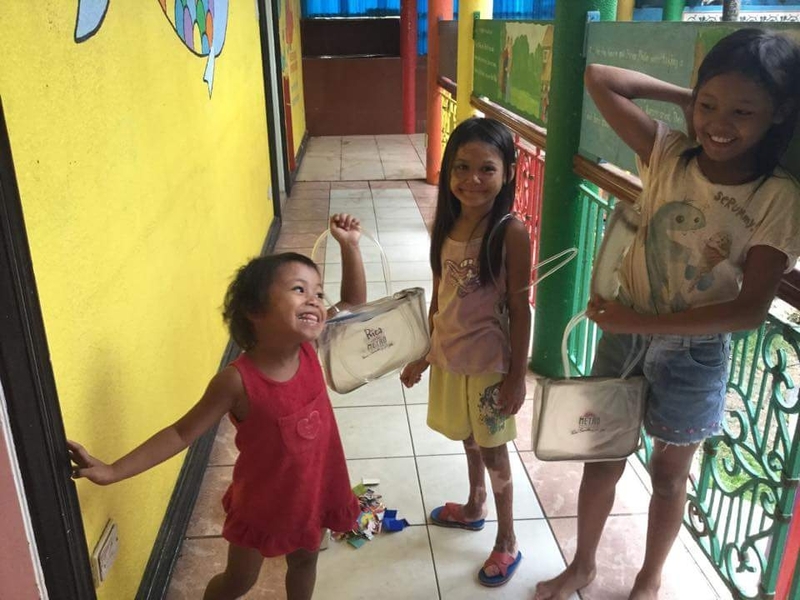 VSF transcends beyond the Corporate Social Responsibility (CSR) compliance and even across the borders of Cebu and Luzon through its programs and projects geared towards economic alleviation of the people. 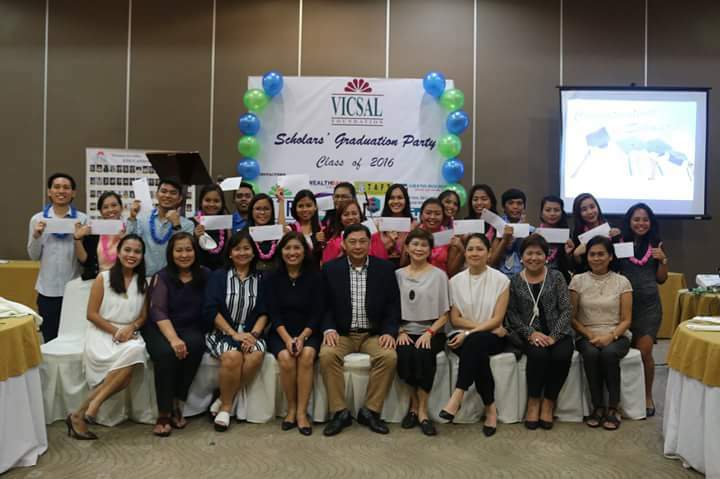 (a)EDUCATION, VSF Scholarship Program started in 2007 with 24 scholars enrolled in different universities and colleges in Cebu. The Program aims to assist financially-challenged students from public high schools who are academically capable but have no means to pursue college education. Education consists of 80% of VSF entire operations. From 2007-2016, there were already 116 graduates, 68 of them graduated with honors (3 Suma, 20 Magna, and 45 cumlaude). Currently, VSF has 62 college scholars enrolled in various Cebu City Colleges and Universities. (b) COMMUNITY OUTREACH PROGRAM, This aims to develop and to strengthen community partnership through the provision of material aid or financial assistance or livelihood projects to chosen communities or organizations in need. VSF has been extending relief and assistance to the victims during crisis and calamities, bloodletting campaign, medical mission, livelihood projects, and contribution for a cause. b.1 Bloodletting – Objective is to collect blood from the Metro employees as well as its shoppers to help the hospital patients in Cebu. This is in partnership with Phil. Red Cross. b.3 Medical Mission – To provide free medical services to rural areas in partnership with other civic-oriented organizations, local government units, and VSF’s corporate affiliates. b.4 Livelihood Project – To provide self-sustaining livelihood activities to underprivileged individuals ( family ) in the community. b.5 Contribution for a Cause – Provision of financial assistance to other civic-oriented organizations to support certain projects in line with VSF’s vision and mission. 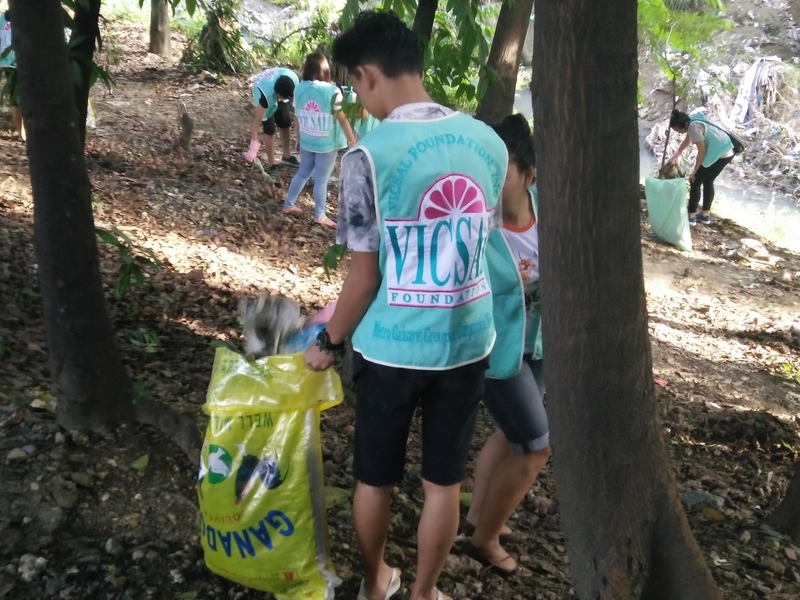 (c) ENVIRONMENTAL CONSERVATION PROGRAM, Environmental rehabilitation activities like coastal clean-up with mangrove planting and upland reforestation have also been part of the Vicsal Foundation’s CSR advocacy.